The second production CA-12 Boomerang (A46-2). The 10th CA-12 Boomerang (A46-10) as flown at No 2 OTU, Mildura, NSW, in 1943..
A CA-13 Boomerang (A46-117) of No 4 Sqdn, New Guinea, early 1944. A CA-13 Boomerang (A46-126) of No 5 Sqdn, Bougainville, 1944. A CA-13 Boomerang (A46-195) of No 4 Sqdn, New Guinea, late 1943. The sole surviving complete Boomerang is CA-12 A46-30 which was operated throughout most of World War II by No 85 Squadron on intercept and patrol duties in Western Australia. A CA-13 (A46-195) of No 4 Sqdn in New Guinea. 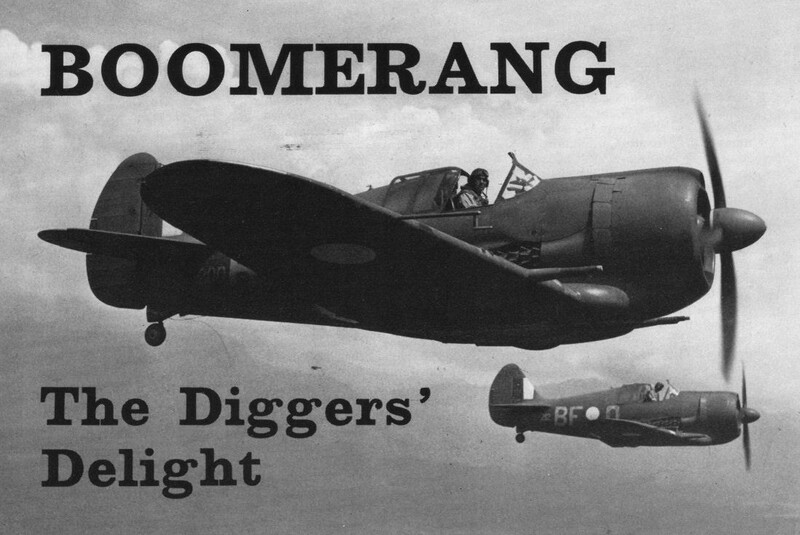 No 4 Sqdn was the first RAAF unit to employ the Boomerang in the army co-operation role. 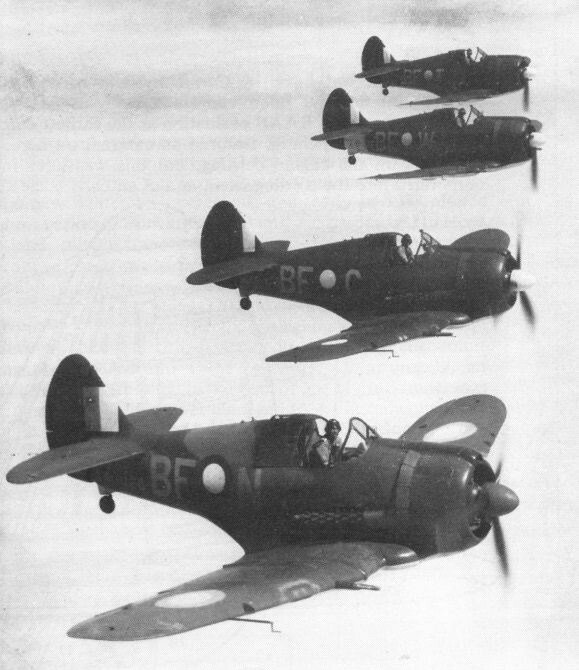 CA-13 Boomerangs of No 5 Sqdn photographed in 1944 during a training flight in the vicinity of Mareeba, Queensland. The fifth production CA-19 at Fishermen's Bend on 15 June 1944, prior to delivery to the RAAF. A CA-19 (A46-212) in formation with CA-13 (A46-200) of No 5 Sqdn. 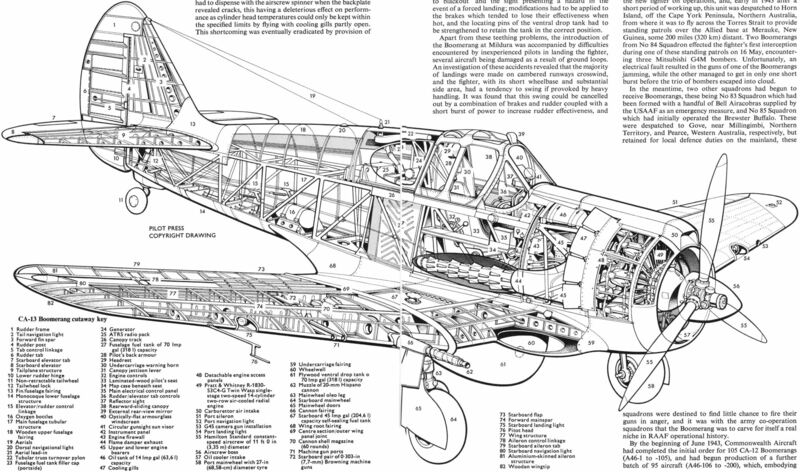 The same aircraft in its definitive CA-14A form with revised tail and faired-in turbo-supercharger intake.